Today I have at track with an interesting situation. The Marion Jones Sports Complex in Belize, was established to replace the old National Stadium that was built in the 1960’s. 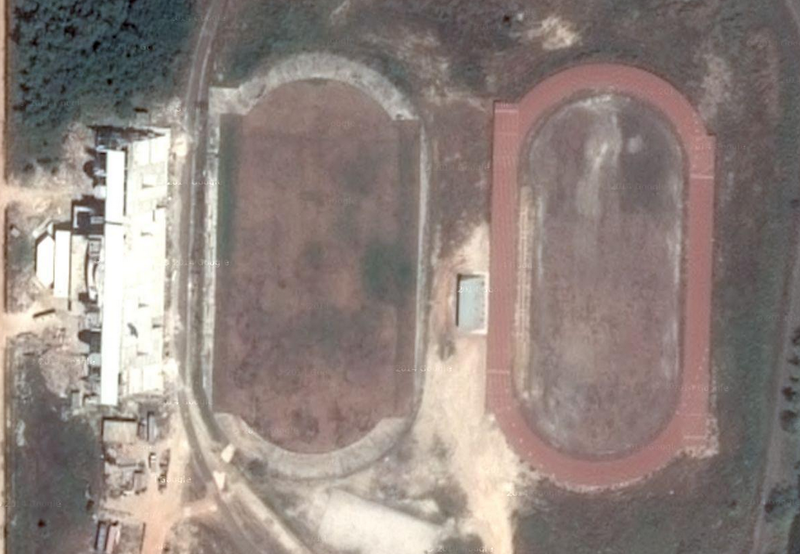 The new facilities, which included a track are located right next to the old stadium. They started construction in 2004, and then stalled for a long time over numerous issues. The red track in the Google photo was finally installed in 2012, but just got clearance to use recently. You can read a detailed timeline of the facility dating back to 1995 on Facebook HERE. Since then a meet has finally been held here. The 2015 national championship meet was held earlier this month on the 5th. It’s a good sign that they can actually use the track, even though the stadium is still not finished. Maybe it was bad luck naming the facility after a convicted doper.